In letters to Prime Minister Stephen Harper and top executives at the ROM, senior Palestinian officials argue the scrolls – widely regarded as among the great archaeological discoveries of the 20th century – were acquired illegally by Israel when the Jewish state annexed East Jerusalem in 1967. “The exhibition would entail exhibiting or displaying artifacts removed from the Palestinian territories,” said Hamdan Taha, director-general of the archaeological department in the Palestinian Ministry of Tourism and Antiquities. The Palestinians say the planned ROM exhibit violates at least four international conventions or protocols on the treatment of cultural goods that were illegally obtained. 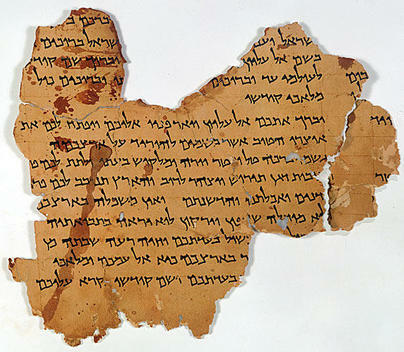 A scrap of non-biblical Hebrew text from the first century CE, originally discovered in 1956. To protest ROM’s decision to display the artifacts, fill the form at http://www.rom.on.ca/about/contact.php. Hanna slammed the illegal Israeli policies in East Jerusalem and said that Israel wants to demolish Palestinian homes and annex Palestinian lands. 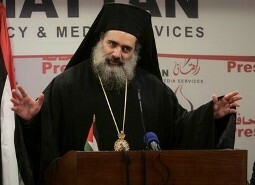 “This is a racist policy, this policy is unjust and illegal”, he stated, “We reject these policies, the Palestinians in Jerusalem are natives, not intruders or strangers, but Israel wants to terrify and intimidate the Palestinians in order to leave the city”. 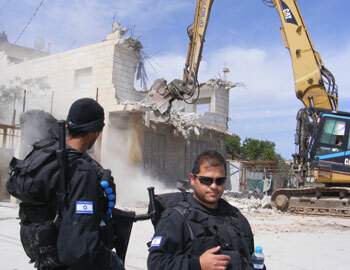 Demolition of the Dwiyat family’s house, East Jerusalem. Photo: Kareem Jubran, B'Tselem, 7 April 2009. On 7 April, security forces demolished the apartment, in Zur Baher, East Jerusalem, of the family of Husam Dwiyat, who carried out a bulldozer attack in the center of Jerusalem in July of last year. The demolition took place after the High Court of Justice denied, on 18 March, the family’s petition opposing the action. As in previous cases of this kind, the justices (Levy, Grunis, and Na’or) accepted the state’s argument that demolition of the family home will deter others from carrying out similar acts. The justices approved the demolition, even though the state never contended that Dwiyat’s family assisted him or knew of his plans. Israeli police have shot dead a Palestinian motorist in East Jerusalem who tried to run over officers guarding the demolition of a home. A man identified as 20-year-old Iyad Azmi Uweisat was killed while driving near the checkpoint. Israeli soldiers and police officers were deployed in the area where Israeli forces were demolishing the Dwayat family home in the East Jerusalem town of Sur Bahir Tuesday afternoon. The Israeli police said they shot Uweisat when he intentionally ploughed his car into the officers, lightly injuring three of them in the legs. 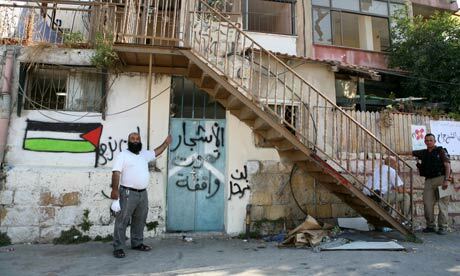 Police later raided Uweisat’s home in the East Jerusalem neighborhood of Jabal Mukkabir. Uweisat was a cleaning worker at Hadassa Hospital. Earlier this month the Israeli Court gave the green light to the Israeli army to demolish the Doyat home. The Israeli government says destroying the homes of attackers will deter future attacks. The Israeli group Peace Now issued a press statement on Monday demanding that the Israeli Goverment should be consistent and demolish the monument to Baruch Goldstein in Hebron. In 1994 Goldstein killed 29 Palestinians whilst they were praying in the Ibrahimi Mosque before he was himself killed. Settlers in Hebron built a monument to him in praise for the attack. Furthermore, Israeli police arrested the home’s owners, Naser Jaber, and his brothers Alaa and Rajaei. They were released 24 hours later. As hoards of settlers attacked the home, Palestinian residents of the neighborhood confronted them and clashes erupted as far away as Damascus Gate. On Thursday morning, dozens of Israeli settlers backed by police originally took over the Palestinian house in the Old City of Jerusalem. A scuffle took place between the owner and the settlers before police intervened, allowing the settlers to take control of the house and sending the owner away. The police came for them at dawn on a Sunday, heavily armed, wearing helmets and riot shields as they broke down the metal doors of the houses and dragged the two Palestinian families out onto the streets. It was over in minutes, the Hanoun and the Ghawi families evicted from what had been their homes for the past five decades, and thrown onto the pavement before the sun had fully risen. Within hours young, religious Israeli settlers had been moved in, guarded by dozens of armed police and their own private armed security guards. The Israeli Supreme Court rejected a petition by two Palestinian families challenging their eviction from their houses in the Sheikh Jarrah neighborhood of East Jerusalem on Sunday. The Hanoun and Al-Ghawi families had appealed a decision by the Israeli Central Court which also denied their right to remain in their homes. The families’ lawyer, Husni Abu Hussein presented Ottoman-era documents proving the family’s ownership of the land. Israeli media reports have flourished in the past week concerning Israeli plans to move forward with construction of the Mevasseret Adumim neighbourhood in the “E1 Area”, which would link between the West Bank settlement of Maale Adumim and Jerusalem, further cutting East Jerusalem off from the West Bank and splitting the West Bank into two. Israeli army radio even quoted sources claiming that future Prime Minister Netanyahu has struck a secret deal with Israel Beitenu Chairperson Avigdor Liberman concerning advancement of these plans as part of the coalition government agreements. n 2008 the Norwegian Government Pension Fund invested 5.5 million NOK (860,000 US dollars) of tax money in the Africa-Israel investment company, which has been linked to the Israeli settlement industry. The company has built and continues to build illegal settlements in the occupied West Bank through its subsidiary construction firm Danya Cebus. Among the illegal settlements are Har Homa in Bethlehem and Ma’aleh Adumim near East Jerusalem.